Dr Julian Lunn graduated from the University of Sydney in 1996. He spent the first four years in mixed practice in South-eastern NSW and Bath, UK. 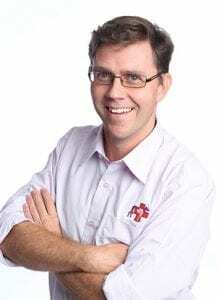 On returning to Australia, Julian took up a position at the University of Sydney’s Veterinary Teaching Hospital working in the primary accession and medicine referral services before commencing a residency in Small Animal Surgery in 2003. He successfully gained membership in Small Animal Medicine in 2003 and in Small Animal Surgery in 2006. Julian completed his surgical residency in 2007, having spent time at Murdoch University and Colorado State University as part of his training. He also graduated with a Master of Veterinary Clinical Studies after completing a thesis on Canine Neural Angiostrongyliasis. In January 2008, Julian joined Veterinary Specialist Services, Australia’s largest and most comprehensive veterinary referral service offering Surgery, Medicine, Emergency, Oncology, Cardiology, Dermatology, Ophthalmology and Dentistry. VSS sees over 5000 new patients every year. Through his time at both the University of Sydney and Veterinary Specialist Services, Julian has gained a wide experience in all areas of surgery from cardiothoracic, oncology and vascular to orthopaedic, neurological and trauma procedures. Outside of work hours, Julian is kept busy running around after his three young children, two energetic ex-RSPCA dogs and his very vocal Burmese cat. He is looking forward to spending more time at the beach with the kids and convincing them they are New South Welshman and not Queenslanders.